An image from an eerie world. 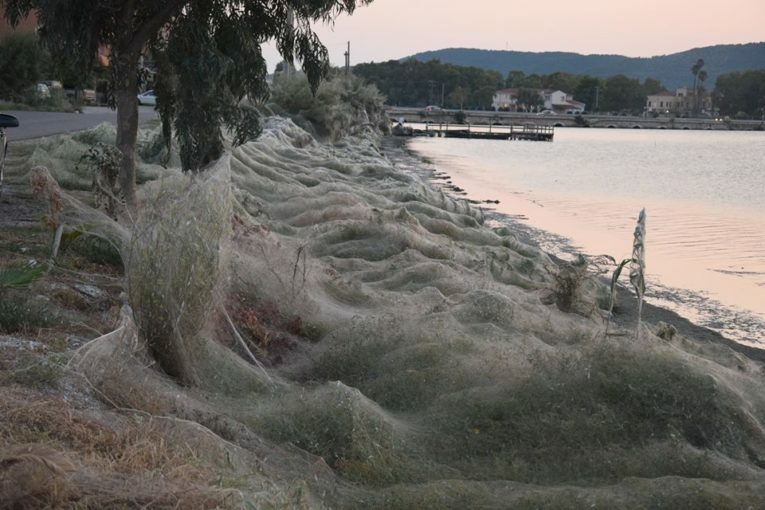 Thousands of meters of spider web have covered a beach in West Greece. 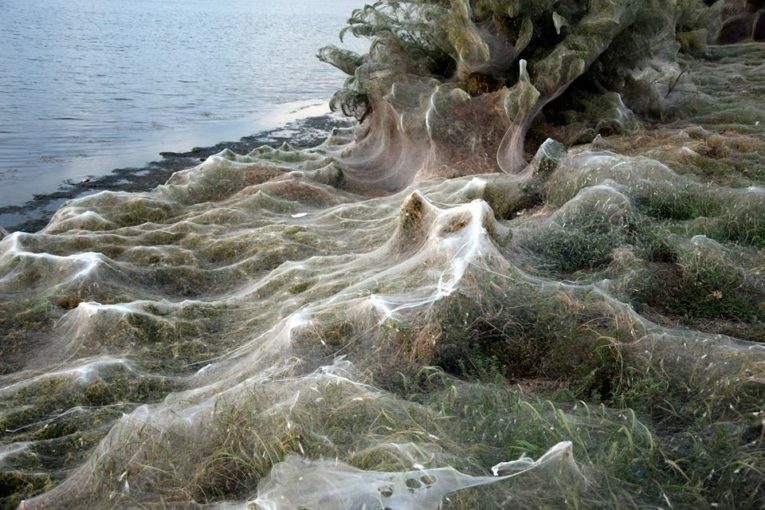 Three hundred meters of the sea shore, completely covered with the web. Palm trees, salt cedars, bushes with leaves and thorns. 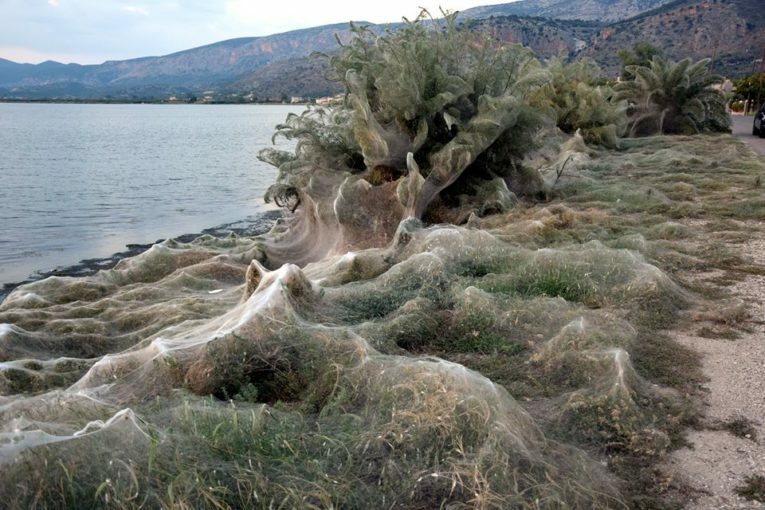 Spiders made no exceptions, had apparently no preferences and dislikes. 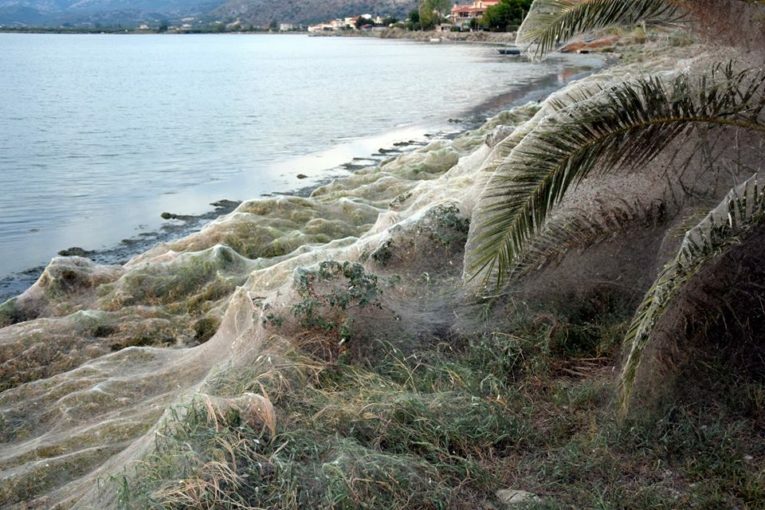 Everything along the beach of Aitoliko on the east shore of the Missolonghi laggoon has been covered with a veil of thick spider web. A rare and unprecedented phenomenon. Creepy. 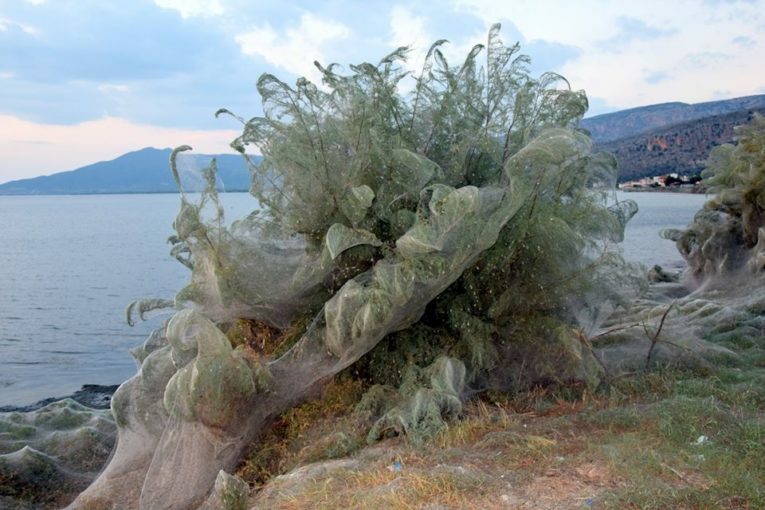 Locals are stunned and report that many mosquitoes swarms appeared in the area in recent days. 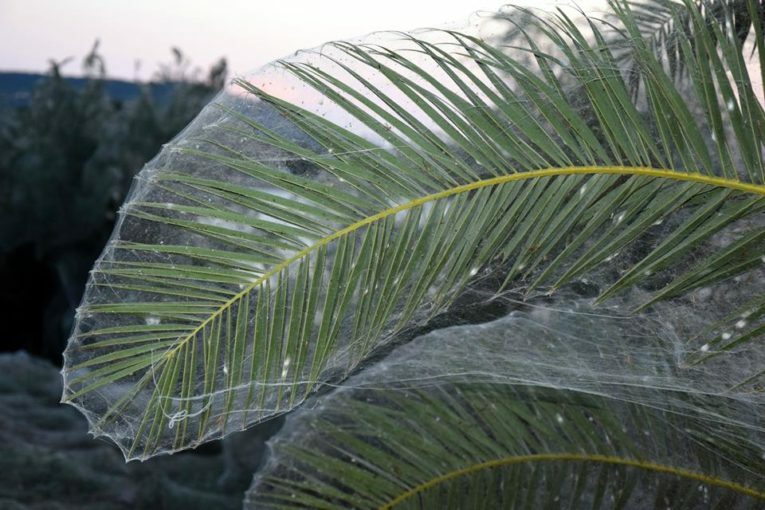 Did the spiders rush to trap their natural food insider the web? Most probably. 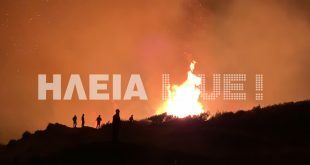 It is probably the reaction of nature to bring its system in balance and limit the number of mosquitoes, writes Yannis Giannakopoulos who also shot the pictures on early Monday evening. 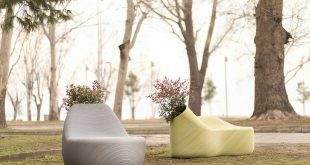 Nature has its own infallible rules that we, the “wise” humans, often abuse with often fatal and painful consequences, he adds. 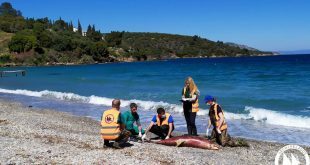 Municipality teams and agronomists are expected to visit the area and work out a plan with measures to get rid of the problem. 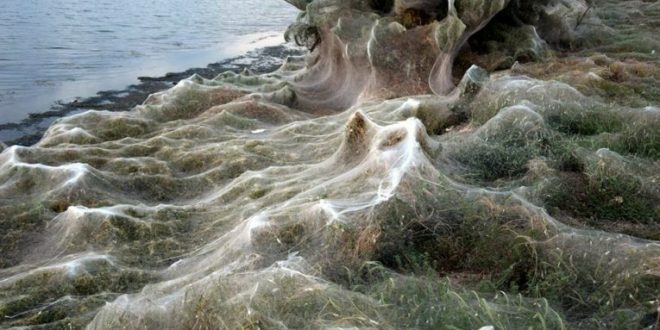 Has anyone seen the spiders? No photos?